Nikkei Chronicles #1: ITADAKIMASU! A Taste of Nikkei Culture was our first organized attempt to solicit stories based on a single theme. All of the 49 articles (English 35; Japanese 10; Spanish 4; and Portuguese 3) received from various countries are now online. Thank you very much to everyone who submitted their Nikkei food stories! Our Editorial Committee reviewed all of the articles submitted by September 30 and selected their favorite article in each language. This piece’s vivid evocations of homestyle country cooking, as well as loving depictions of parents and family life, will resonate with Nikkei all over the globe. Much complexity is captured in just a few words: the challenges and unity formed by growing up among few other Nikkei, and the happy memory of inarizushi “turtles” made by her mother. “The real cook uses what she has,” says Nishimoto’s mother, evoking a proud tradition of seasonality, flexibility and thrift that endures across the Japanese diaspora. Despite hardships, the love and care expressed through food in the Nishimoto family will resonate across cultures and circumstances. I like the feistiness and honesty of Barbara Nishimoto’s Authentic, and the defiant pride she takes in the way her family doesn’t conform to Asian stereotypes. Her descriptions of the simple “country” dishes her Nisei mother made remind me of dishes my mother and grandmother made—many of them were the same. The way she connects those meals to an authentic, self-created Japanese American identity is both moving and powerful. Although I didn’t grow up feeling as isolated and ostracized, this essay made me feel the author’s pain in a deep way, and it brought back my own childhood sense of the family dinner table as a magic circle where the slights and wounds of the outside world had no place. There were several skilled writers and I enjoyed reading each of the essays, but staying in tune with this particular theme, I selected this piece by Asami Goto. 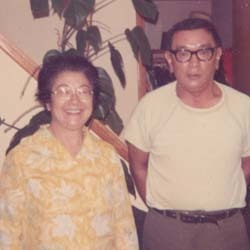 There are 3 stories here: First, a story of how tsukemono played a role in connecting her family’s Japanese roots to her uncle’s family in Honolulu; Second, a story of how her grandmother’s homemade tsukemono created a psychological connection for the members of the Buddhist Women’s Association, as they recalled their own mothers’ home-cooked flavor; and Third, that the aforementioned “discoveries” had developed the author’s own desire to start up a tsukemono-based business. These stories come together succinctly, and through it the author’s enthusiasm toward her new business can be felt. It sure made me hope that her business will be a success. Yasuko Nakamachi’s essay was also a delightful, noting the role of her chop suey restaurant and the different ways in which the customers enjoyed the fortune cookies. Instead of the traditional American dill pickles, the flavor of choice that this author discovered from her Nisei relatives in Honolulu was the takuan and pickled ginger made by a Nisei Grandma. 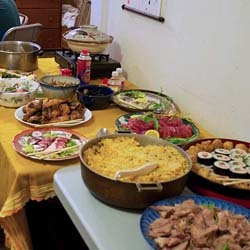 Japanese tsukemono such as rakkyo and umeboshi seem to be loved amongst the members of the Buddhist Church in Honolulu. It’s just tsukemono—yet that simplicity makes it all the more great. Dietary traditions tend to be inherited by families and organizations, but I was especially intrigued by the author’s idea to pass these flavors onto the next generation through her new business. That a particular palate can affect not only a cultural identity, but also influence international business, is a unique characterization of the modern ‘globalized’ state of the world. Also held in high regard was the essay by Naomi Kimura about Brazilian okaki and Hanaume’s umeboshi, as well as the short story by Yasuko Nakamachi, taking an unconventional look at the fortune cookie. It is a story of how a Nikkei with a Chilean mother discovers authentic Japanese food. Its narrative style allows the imagination to see how each secret is discovered within “uncertainty,” as it is called. It is a nice, compelling story that allows you to feel what Ariel is feeling. In the first place, clever humor is inclusive (wasabi has been very common in Peru for many decades, when very few people knew what sushi was, but now it is common to find sushi in buffets without Nikkei influence), and I believe that others also will enjoy it. Secondly, I found it well-structured and nicely written, among other things. 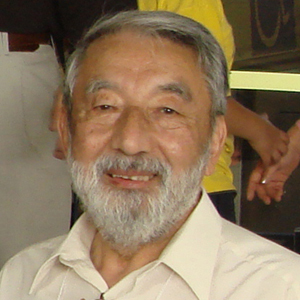 The articles on Chile and Argentina have a very intimate character to them, of Nikkei or Japanese households, and that makes them attractive precisely because the articles deal with the transmission of culture through women; above all, of remembering the teachings imparted by mothers and grandmothers, but also by fathers. This is another side of history that few know about. While not wanting to dismiss the other stories, this was an amazing narrative. After all, besides offering old family recipes that were as complicated as they were delicious, it gave us a glimpse into the lives of the first immigrants. How could I ever have imagined that geckos and nine-banded armadillos ended up on the dinner table, right next to gohan and misoshiru? I’ve read a lot about the lives of the first immigrants, but I found Rosa Takada’s story quite moving, making me stop and think about the lives of extreme hardship of the pioneers. It’s incredible how creative they were in the kitchen! Hats off! First, I would like to congratulate the initiative of Discover Nikkei in encouraging people to relate their personal stories with food. I can say from my own experience, that Japanese cuisine is one of the strongest contributions of Japanese culture for Brazil. For example, in metropolitan cities like São Paulo, there is Japanese food in almost all the steakhouses. I selected the article “Ofukuro no aji: Mrs. Shizuka’s cassava misoshiru” written by Rosa Takada, because it engages the reader with a wealth of detail. 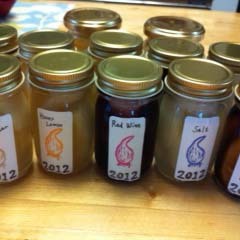 An example is when the name of each ingredient is mentioned and she describes the process for making the food. This narrative ends up stimulating sensations and provoking emotions in the reader. The article also engages the reader, in my opinion, when the author mentions the actions of her mother, the distribution of miso among her brothers and how the misoshiru made with Obaachan’s miso was enjoyed by grandchildren. 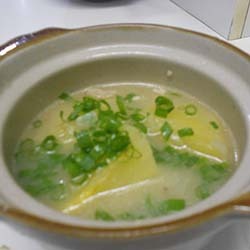 In the end, the author transports the reader from the past to the present when she related that she made her mother’s special misoshiru with the same ingredients. And the biggest attempt to involve the reader and when she invites everyone to have the same experience, putting into practice the recipe. All of these selected articles will be translated into all 4 site languages in January. In addition, they will be shared not only on Discover Nikkei, but in participating Nikkei publications! There were so many wonderful stories submitted in English that the committee members had a difficult time selecting their most favorite. They wanted to also acknowledge a second story as a very close second. There has never been a “quintessential Nikkei experience,” nor does there need to be. But Tamiko Nimura gets pretty close. Her essay sings with descriptions of her family’s favorite Log Cabin Sukiyaki. I can almost taste the sauce she so lovingly describes, with its surprising addition of a North American original, maple syrup. Yet her story is universal, too. Anyone who has lost a relative can relate to her affection and curiosity, or the responsibility of “graduating from the kid’s table” to carry on parts of one’s family legacy. For her family, that meant sukiyaki sauce. I hope her essay will inspire Nikkei all around the world to hang on to precious recipes while constantly inventing new ones. Each one tells a story. There are so many things I liked about this beautifully written essay. The use of Log Cabin maple syrup as a sweetener for sukiyaki is a terrific example of Issei ingenuity. I love the image of “the quintessential American frontier home” being subverted and turned into the “quintessential Japanese American food,” just as so many Issei and Nisei quietly claimed their right to be both American and Japanese during World War II. The description of the writer’s family as “one that often speaks its community less with words and more with gathering and food,” and the act of making a favorite dish in part to bring the memory of a loved one back to the table are things many Nikkei can relate to as well. Thank you for reading, sharing the stories with your friends, and posting comments! If your newspaper is interested in publishing a story(ies) from the Itadakimasu! project, please contact Editor@DiscoverNikkei.org. Thanks also to Patricia Wakida for helping us pull this project together, Jay Horinouchi for designing our cool Itadakimasu! logo, and our wonderful volunteers who help us review, edit, upload, and promote this project! Spam: It’s What’s For Dinner. No, Really.